What Are External Links and How Do They Help SEO? Did you know that your SEO campaign depends on more than just keywords? 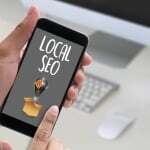 Search Engine Optimization (SEO) gives all businesses an opportunity to take advantage of the massive amounts of Google search queries that occur every day. The right SEO campaign can boost your website’s visibility in a powerful way. It can also send conversion rates soaring. A lot of new SEO marketers spend most of their time honing their keywords. While keywords are extremely important, external links can also play a role in your SEO performance. What are external links and why do they matter? In this post, we’ll answer this question and give you tips to improve your outgoing link strategy. Nearly every website on the internet is filled with links. These links may direct visitors to other pages on that same website. Others send visitors to outside sites. These are called external links. In most cases, these links are designed to be helpful. External links may support evidence or facts, give visitors additional information, or advertise a specific product. They act much like a conduit for relevant information, giving visitors the option to have a better user experience. When you visit a website, you may not pay too much attention to these links. Or you may pay a lot of attention, depending on the types of links a website incorporates. Whatever the case, external links can impact how your site visitors engage with your content. They particularly influence your Search Engine Optimization (SEO) efforts. 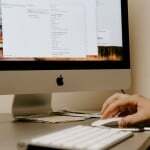 Search Engine Optimization (SEO) is a digital marketing technique designed to boost your visibility on search engine platforms like Bing or Google. When you implement SEO, you give your content a greater chance of earning a high Google ranking. Higher rankings automatically boost your odds of getting more organic traffic, as searchers are more likely to click on listings that appear at the top of search results. Many first-time SEO marketers overlook the value of links when they are crafting their SEO campaigns. But external links make all the difference when it comes to optimizing your online content. When Google assigns rankings to sites, it looks at a lot of factors. One of these factors is domain authority, a ranking signal crafted originally by Moz. Domain authority is a number on a scale of 0-100 that rates how authoritative your domain is. Naturally, sites with higher domain authorities will rank more highly. You can build DA by acquiring external links to your site. The more third-party sites link to your site, the greater your credibility–at least, in Google’s eyes! In this sense, external links to your site function like votes or bids of popularity. Sites often get external links because their content is authoritative and relevant, such as a news platform or a social media giant. Google does not look only at domain authority when ranking pages. It also assesses the value of your content and your Search Engine Optimization efforts. Nonetheless, a high DA can be your secret to earning more organic traffic. External links to your site, also known as backlinks, aren’t the only links that are valuable when it comes to SEO. The outgoing links you have on your own site play a role in optimization. In general, it’s wise to include at least two or three external links per 500-750 words of content on your site. This is particularly important if you maintain a blog. If you use WordPress for your website, you may have already installed the popular SEO plugin called Yoast. This plugin will urge you to include external links on specific pages (in addition to internal links). Outbound links may not automatically boost your SEO rankings. But they can actually help you acquire backlinks, much like tagging someone on Instagram may earn you a follower. They also support the world of SEO in general. Outbound links can associate your site with other sites. They can also expand and connect the internet itself, making Google’s job easier. (Yoast’s motto, after all, is “SEO for Everyone”). For this reason, it’s important to incorporate relevant, frequent outbound links into your content. In general, whenever you insert a general outbound link on your site, it is automatically a “do-follow” link. This means that Google can see it and catalog it as a backlink for that specific site. When you embed a do-follow external link in your site, you’re essentially giving “link juice” to that site. You are, in essence, contributing to their domain authority. Some site owners, however, will label external links as “no-follow.” This means that the links will appear, but they will not be trackable by Google. No-follow links do nothing for another site’s SEO or visibility. For example, let’s say that a site may want to reference a specific product. However, they may not have a policy for actively linking to promotional items. They would then implement a no-follow external link. For the purposes of your own SEO, we recommend including do-follow external links only. So what are external links? External links are any links that send visitors to an outside site. The right external links will support the information presented on your website and send visitors to reliable outside sources. In this sense, the external links you have on your website can boost your odds of acquiring backlinks, the type of external link that can contribute to your domain authority. In general, a higher DA can elevate your odds of earning a higher Google ranking for specific searches. Your external link strategy should, therefore, include the outbound links on your own site as well as the backlinks directing to yours. At Backlinks.com, we love helping all of our clients achieve the domain authority they deserve. 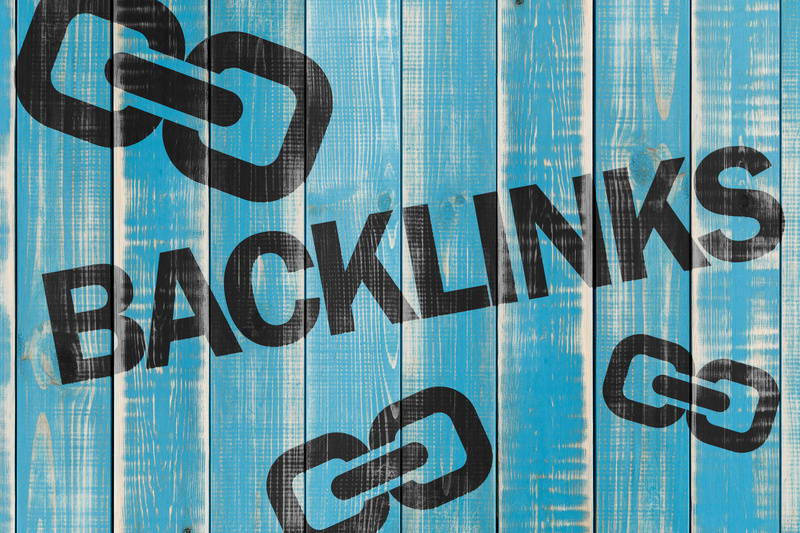 Click here to learn more about getting more high-quality backlinks! Is It Possible to Recover From the Google Core Algorithm Update?